Good for play 1v1 in strategic template. Review by Chaostamer on 9/4/2014. 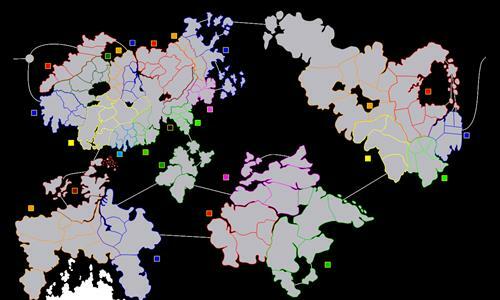 Interesting map with lots of openings however starting with random distribution is difficult if you unluckily land blade desert. Review by Nathan on 1/8/2014. Well laid out, attractive and fun to play. The connection between Thaliost and Rekkernmark could be more pronounced, but that's about my only complaint. Review by Anwil on 10/17/2014. Review by Dark Wulff on 11/19/2014. Decent Map easy to read, enjoyed playing it. Review by INSIDE on 7/10/2017. Review by viktor on 2/1/2015. Review by OTPM on 4/24/2015. Review by Jake Helling on 7/4/2015. Review by justin Lane on 9/10/2013.